Black & White: Tracy Huang, Happy 61st Birthday!! Tracy Huang, Happy 61st Birthday!! Happy 61st Birthday, Tracy Huang! 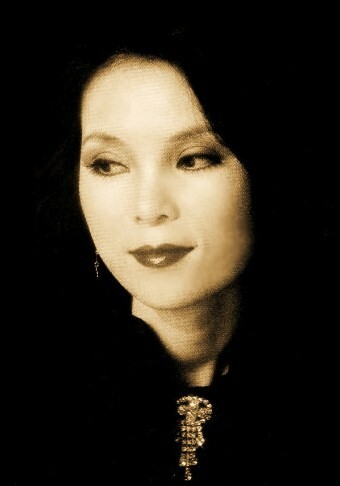 Today 29 August 2012 is Tracy Huang's 61st birthday. Do you know who Tracy Huang is? She is the age-defying sultry Asian diva from Taiwan, but became very famous and popular when she was in Singapore. Her popularity stretched from the 1970s to even today. To prove a point, she just released her latest Cd last month, called "Tracy Lullaby" comprising 6 Chinese and 6 English songs. Take a look at the photo below during the launch of her latest Cd. Stunningly gorgeous at 61 years old!! Like to know more about Tracy Huang and listen to more of her songs? CLICK HERE.